BLACK EMERGENCY MANAGERS ASSOCIATION INTERNATIONAL: July 9, 2017. Passing of Mr. Samuel H. Jordan. 1st Emergency Manager for the District of Columbia. July 9, 2017. 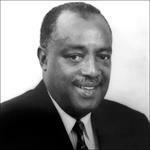 Passing of Mr. Samuel H. Jordan. 1st Emergency Manager for the District of Columbia. I recall meeting Mr. Jordan as a young disaster preparedness specialist with the U.S. Air Force, and during my civilian life as a business continuity operations manager with British Telecom and McDonnell Douglas Corporation. He always kept that busy demure, but took the time and opportunity to talk with everyone. He was so involved with every event that took place in Washington, D.C., cared for the residents and community. Thanks for the leadership in having me continue on as our profession has evolved. Silver Spring, MD. Sam, as he was affectionately known, was born on October 31, 1932 in Petersburg, VA, son of the late Ollie Scott and Alonzo Jordan, Sr. Starting his career as an Advisor to DC's first elected Mayor, Walter Washington, Sam was a faithful and passionate public servant in the District Government for more than forty years. Appointed Director of the DC Office of Emergency Preparedness (now "HSEMA") by Mayors Marion Barry and Sharon Pratt Kelly, Sam chaired the Mayor's Special Events Task Force, a body of local, federal, transportation and public safety officials charged to ensure a comprehensive safety plan whenever a major event or protest was held in the nation's capital. He also held the distinction of being the District's Coordinator for the Presidential Inaugural Committee through seven administrations. In addition to his leadership as a public administrator, Sam dedicated himself to community uplift and worked tirelessly as an advocate for youth and those most in need. Sam is survived by his devoted wife, Jacquelyn; two sons, Reginald (Arlene) and Barry (Jeannette); two daughters, Terri (Anthinino) and Tracey; four grandchildren, Teirra, Julian, Kelli and Gabrielle; two great-grandsons, Julian, Jr. and Jace; and a host of other relatives and close friends. The family will receive friends from 10 a.m. until time of service at 12 noon on Monday, July 10, 2017 at Union Temple Baptist Church, 1225 "W" Street, SE, Washington, DC 20020. Arrangements by J.B. JENKINS FUNERAL HOME.